PRIVILEGED ENTRANCE TO VATICAN MUSEUMS – NO LINE! 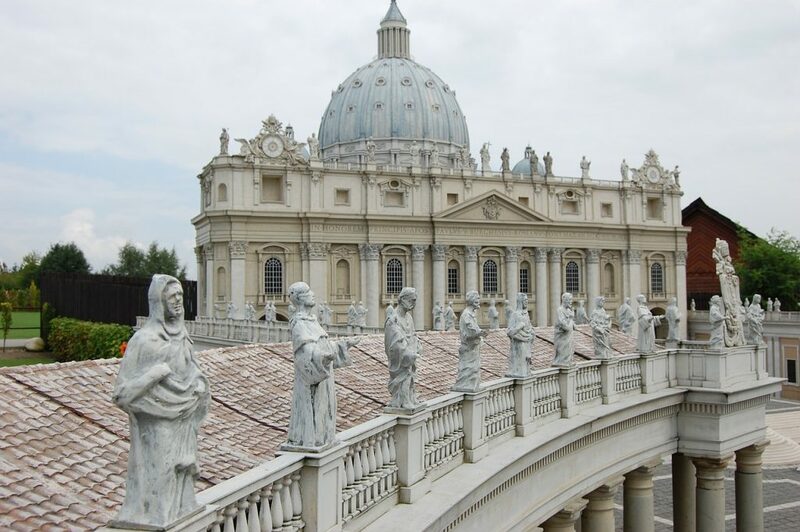 Papal Audience Vatican Museum and Sistine Chapel group tours – Start your day early at St. Peter’s Square, experience once in a lifetime the possibility to see Pope Francis I. The Papal Audience is mainly sequence of small readings, mostly in Italian, though there will be compliments in other languages. There is a reading of the Lord’s Prayer, in Latin, and the Audience includes the Pope’s Apostolic Blessing. Generally beginning at around 10.30 in the morning, there may be an earlier start in case of very hot weather. As the Pope spends the summer months in his summer residence, we do not offer this excursion during July and August. The meeting time for the Papal Audience Vatican Museum and Sistine Chapel group tours is at 9:00 am for the audience in order to take good spots. You will receive your tickets and the necessary directions from our tour manager, who will meet you after the audience for the Vatican Museum tour. The audience usually lasts from 10:00 am until 12:00 pm. The Vatican Museum tour starts at 1:00 pm, therefore you will have time for lunch in quietly. At 1:00 pm you will join our highlight-tour through the Vatican City’s legendary museums, including one of the largest and most magnificent art exhibit in the World, including the ancient Roman and Greek statuary collection of the Renaissance popes, Belvedere courtyard, Muse’s rooms, Circular room with Hercules, Greek cross room with Constantine’s sarcophagus, the Gallery of Maps overlooking the Vatican Gardens, Raphael’s rooms and finally Michelangelo’s awe-inspiring Last Judgments in the Sistine Chapel. You will journey through the history and the secret enveloping the Catholic Church and hear the stories of rivalries of the Renaissance artists. Continuing on through the Basilica of St. Peter you’ll marvel at the masterpieces of the Baroque genius Bernini (his Canopy is the largest bronze object in the world) and at the breathtaking Pietà . The Papal Audience Vatican Museum and Sistine Chapel group tours is conducted by a professional tour guide licensed by the city of Rome, expert in Art History and Archaeology. You will receive personal headsets before the tour begins, therefore you will be able to follow the tour guide perfectly, without being bothered by the crowds of the Museum. Vatican dress code: Shoulders and knees must be covered!